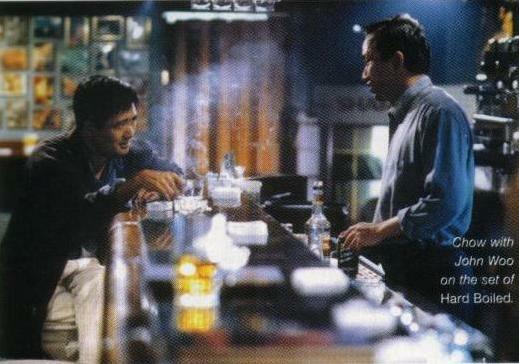 Chow Yun Fat is John Woo's favorite leading man. Their work together has furthered both careers, and now when one is mentioned, the other naturally comes to mind. Through their numerous films together, Chow has become Woo's alter ego. He is the purveyor of Woo's bold, if somewhat naive brand of honor. The Replacement Killers. The film was only mediocre but it succeed in introducing Chow and his gun-slinging skills to American audiences. His subsequent films would continue to get better from the dark crime triller The Corruptor to the romantic drama Anna and The King.Anna and The King, although not a commercial success pointed out to critics that Chow Yun Fat was not merely an action icon but an established actor as well. Most recently Chow ventured into the kungfu genre by starring in Ang Lee's fantasy epic Crouching Tiger,Hidden Dragon. The actor has several future projects linked with Woo,including King's Ransom and the comicbook adaption Bulletproof Monk.